New for 2018 – register your wristband and top-up all in one! Simply fill out the registration form here. Once you login, link your wristband and top-up! You’re now ready to live the #BootsLife! Y’all need to register in order to enter the festival grounds. This is #1 on our list for a reason, people! You cannot enter the festival gates without it. Neat stuff includes, but is not limited to: food, beer, merch, and showers. Expedited entry? Quicker transactions? Shorter wait and lineup times? Yee-haw! Don’t mind if we do. WANT TO BE EXTRA SPEEDY?! Introducing our FAST PASS! The Fast Pass is an upgrade on your GA Full Event ticket that allows you quicker access to the festival grounds and the Fast Track Bar in the GA area all weekend long! You can purchase your Fast Pass here and can only pick it up at will call when you arrive at the festival (make sure you bring ID to confirm your purchase). Hurry y’all, quantities are limited! NOTE: This is not a festival ticket. You will need a full event ticket to get into the grounds. We’re cashless, y’all! No need to wrangle up all those loonies and toonies anymore! STEP 2 – Login to Your Account & Link Your Wristband: An “Activation” link will be sent to the email address you used for registration. Once you activate your account, login and click the “Wristbands” tab. Finally, click the “I have a wristband” button to link your wristband to your account. STEP 3 – Top-up Your Account: Next, click the “Top-up” tab, select the “Top-up” button, and enter the amount of credit you wish to add. Click “Checkout” to be redirected to the payment site. All unspent credit will be refunded back to you after the event (less a $5.00 refund processing fee). Please review our refund policy for more details. PRO-TIP! The easiest and most convenient way to add credit to your account is to “Enable Auto Top-up”. With the “Enable Auto Top-up” feature, your account balance will automatically re-load $50 into your account when your balance drops below $20. In order to enable Auto Top-up, you must click “Yes, enable” when topping-up online and the transaction must be successful. Only then will the top-up amount be charged to your credit card and you will receive an email notification of this transaction. Your account will then auto top-up when you fall below $20. 1. 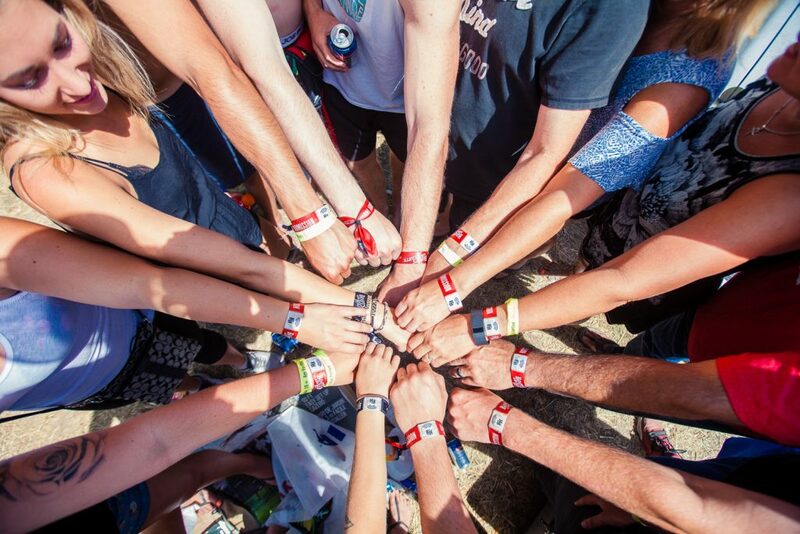 Your wristband is your ticket to get into the festival with just a quick tap! DO NOT put on your band until the day of the festival. Once it’s on, you won’t be able to remove it. That sucker locks on immediately! 2. Each attendee must register their own wristband using their own personal details. 3. Once a wristband is registered, it’s locked in under your personalized account and cannot be transferred to anyone else. This process helps us to track your unique wristband in case it gets lost or damaged. 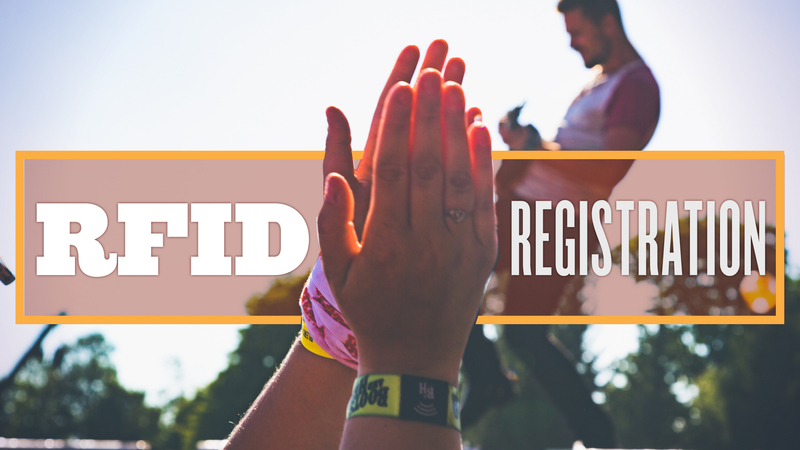 Please do NOT register anyone else’s wristband for them (but tell em’ to giddyup and get er’ done already)! We hope this helps, Boots Fam! See y’all soon! For RFID terms and conditions click here. If you have any questions regarding your cashless account, please email info@republiclive.com.